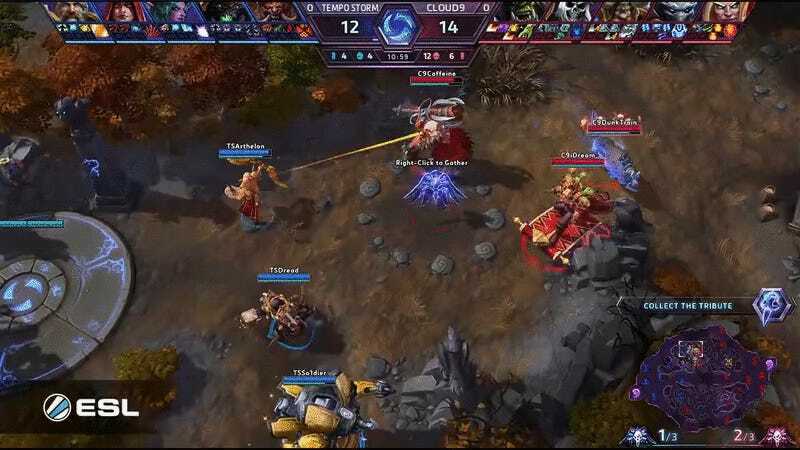 The Heroes of the Storm Americas finals went down in Las Vegas this weekend, giving rise to many big plays that impressed fans and spectators. One moment from the grand finals stood out as a real show-stopper. It all came down to a face-off between two of the Act I bosses in Diablo III. The first team to get three tributes “curses” the enemy team, granting them a powerful (but temporary) advantage that stops enemy structures from defending against attacks and lowers minions’ health to zero. The idea of Cursed Hollow is that instead of just laning, these tributes periodically pop up, forcing both teams to drop everything and rush for it in the hopes of getting it before the enemy team does. Teams rarely make it there in enough time to just grab it and go. More often than not, vicious bloodbaths ensue and both teams stubbornly refuse to let go. The two teams danced around the tribute nervously for a moment, each player inching back and forth but nobody going in to really start the fight. Tempo Storm’s Butcher was aiming at C9’s Kael’Thas—a ranged assassin who’s very easy to burst down since he doesn’t have much in the way of hit points. If Butcher had made it all the way to his target, he might have managed to take Tempo Storm’s most powerful damage-dealer out of the fight...and give them a good chance to win that tribute. 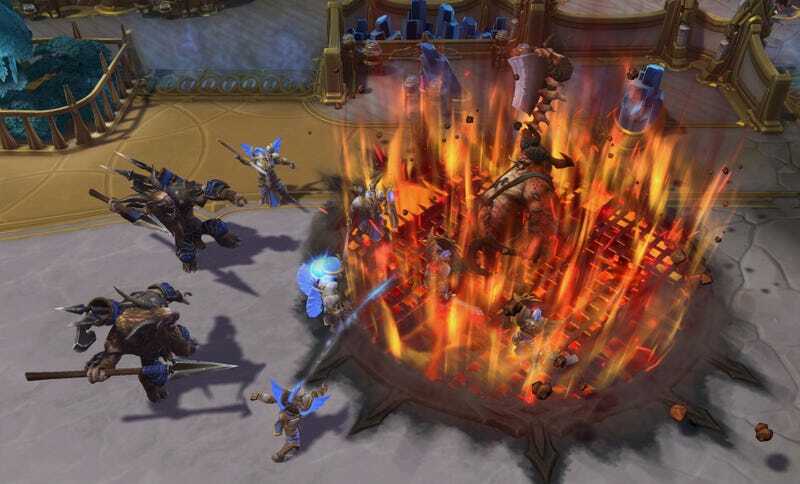 The extra few inches The Butcher had to walk made his Furnace Blast fire prematurely—missing Kael’Thas and instead sending the brunt of its damage to Leoric. And since King Leoric is a beefy tank who can revive at any location on the map thanks to his ghost form passive, The Butcher hitting him wasn’t that big a deal. Needless to say, C9 ended up winning the match, and ultimately the entire HOTS America Finals. Tempo Storm is still going to advance to the BlizzCon Heroes tournament, though, so maybe they’ll have a chance at a rematch. The best part about this play to me is that a lot of HOTS players consider Leo’s entomb ability to be the off-meta pick, preferring his other heroic ability instead. I bet that’s going to change now. You can watch the whole game on Blizzard’s Twitch channel here, or go directly to the play I described here.